The very last thing I would do is to dust off memories of the Bennite years, and try to shoehorn developments of the last two years into a prism completely inapplicable nearly four decades later. That, unfortunately, is what former deputy leader Roy Hattersley unconvincingly attempts in his widely publicised article in the Observer this weekend, which will deeply disappoint those of us whose memories of his past role are better than that. The piece is little more than a nasty paint-by-numbers hatchet job on Momentum, timed to coincide with the start of voting to fill vacancies on the National Executive Committee, in which three Momentum-backed candidates are standing. No effort is spared to invoke the atmosphere of the Paris in 1793, the Beijing of 1966 or – most alarmingly of all – an inner London Constituency Labour Party general management committee circa 1983, complete with the Millies selling papers outside the building. Roy Hattersley was unimpressive during his day, but has altogether lost all semblance of reality today. I would challenge him to make a presentation in front of the audience he denounces and listen to their response, he might even be surprised as to how moderate they really are. But then being a Neo-Liberal which even he didn’t know he was at the time, smears and lies are their only defence. As one of the officers who was elected at Wavertree CLPs AGM, I was surprised to read Roy Hattersley’s unncessary and unjustified attack. As far as I was aware, Hattersley did not attend our AGM so I can only presume his smear is based on second hand information and the smears he has read in the MSM. I had to laugh when he describes some of us as ‘pamphleteers for the hard left’ (or words to that effect) as it sounds ridiculous and makes little sense yet it has a bit of a threatening sound to it so obviously suits his agenda. I am a social democrat and believe in many of the same things that Roy believes in and do not consider myself to be ‘hard left’ in the slightest. I think that the hard left label is a convenient way of demonising anyone who supports Corbyn. I have just read Roy’s excellent article that he co wrote with Kevin Hickson – ‘In Praise of Social Democracy’ which was published in The Political Quarterly in 2011. What struck me about the article and everything that he was saying is how much Corbyn and McDonnell’s vision and approach and Labour’s manifesto for the 2017 GE matches up to what Hattersley and Hickson are arguing for. Hattersley should actually be supporting the left who are working towards his ideals and should know that it would be impossible for Corbyn and McDonnell to deliver his ideals and to overturn the hegemony of neoliberalism within and without the party without the support of members like myself. There is a lack of accuracy in in the claims of resemblance in Momentum and Militant. The obvious differences are too stark. Momentum and Jon Lansman are out of the Bennite wing of the party which survived the Blair New Labour years. Militant was a Lenninst revolutionary socialist party that infiltrated the Labour Party. Unless Hattersley wants to claim that Tony Benn was really a revolutionary Trotskyist it becomes a little silly. Even sillier is Hattersley does not acknowledge that it was Lansman who stood up to the Leninist sects infiltrating Momentum by offering real internal democracy inside the group rather than letting the revolutionaries ‘committee’ the group to death. That he upset the sects will show in the NEC elections where he will have less votes than the other two, Yasmine and Rachel, on the left slate. So Lansman has offered “real internal democracy” inside the plc (trading under the name ‘Momentum’) that he is the sole owner of? How does that work then Danny? By having a guaranteed seat on the Momentum plc board through this t’internet blog that no one else can challenge for? By being the Momentum plc candidate for the NEC elections without any vote of the members? By Momentum plc members being seen as little more than a stage army to move around by those that know best? Funny idea of democracy you have there Danny, and not one that as an original Bennite myself I recognise. I’m not sure James, after all these years OMOV seems to working remarkably well for the left inside the party. Control by a vanguard, whether Leninist or Blairite is hopefully a thing of the past. Funny how well Blair’s New Labour first stole and then used the idea of democratic centralism from the Leninist sects. Do you really want Momentum to be under some sort of control by the sects? Well I’m not a Momentum member or supporter Danny, that decision was made when Jackie Walker was hung out to dry by Lansman and other Momentum leaders who buckled in the face of a vile racist political lynching, so who controls it is for the members of Momentum and not me to decide, although shamefully most Momentuim people seem to be content to have it as a depoliticised privately controlled plc by Lansman himself. Very revealing that you raise the standard right wing bogeyman of ‘Leninist sects’ to attack those who criticise Lansman’s loose grasp of democracy and then mention OMOV, is that how you selected Lansman to be the Momentum candidate on the NEC grassroots alliance slate then Danny, as I must have missed that? I’m afraid I am not a member of Momentum James so I cannot answer your question on how Lansman was chosen. What I can claim is to having first hand experience of one of the Leninist sects many years ago. I do believe it was important for Lansman to sideline them from Momentum’s leadership because otherwise we would be facing another Militant like entryism of revolutionary socialists into the Labour Party. As it is Momentum is capable of being both a means to solidify the Labour left’s control of the party and add something considerable to the next election in their campaigning expertise. Of course if I were from one of the sects I would be rather upset that I wasn’t given the chance to recruit inside the organization. But that obviously produces the answer that if you want to be part of a mass movement go build one your self. the last one to do that was Gerry Healy back in the sixties where his Young Socialists were far larger than anything the Labour Party had in a youth section although he did get that through entryism. The company within the Momentum family of which I am director has only one real function – that of data controller – i.e. responsibility for ensuring compliance with legislation and the wishes of those whose data we hold. That does n ot amount to “ownership” of the data let alone of Momentum which is a membership organisation controlled by its elected national coordinating group. The relationship between Momentum and its two companies is set out here. What a beautiful irony. 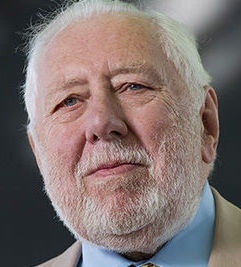 A puffed up old Labour Lord, in this case, Baron Hattersley, of Sparkbrook, who it appears is never tired of reminding us of how proud he is of his socialist traditions. Now bound by duty, to pronounce on the dangers posed to his beloved party by the latest left wing fad: Momentum. That in itself is as good a comic routine as I can remember. The good baron even claims to support a British republic (see wikipedia). But that is not the end of this joke; the funniest thing of all is, he is right. I cannot wait for the next episode. Yes, I also had some time for Hattersley in his attempts to stand up to Blairism, but he clearly does not understand what Momentum is about and is I fancy being manipulated by the right. The mild social democratic manifesto that is all that Momentum can be accused of wanting to implement is after all not so very different from much of what I presume he supported in his younger days.If he thinks it is perhaps he can tell us how. It was a strange article by Hattersley. Reading his alarm, it seems as if he’s got the idea into his head that Momentum is exactly the same as the Militant Tendency. Militant was a small, tightly-organised command-type structured organisation, with a religious-type of commitment to a specific sect of Trotskyism. Momentum is a much, much larger and far more diverse network of activists, with a range of left-wing politics, far more left-wing social-democratic than anything approaching Marxism. Hattersley’s Observer article came across to me as a mainly very unpleasant set of invalid views. Malicious came to mind. Also agenda driven so that logic, valid reasoning true representations were not the order of Hattersley’s outpourings. Speechless – well almost ! The establishment are clearly across the board worried that the public will see the full Integrity and Strength of a man of insight of the oppression of the real workers in our society. Also politicos will then have too high a level to try to live up to !!! The planetary environment is in critical decay, the global capitalist economy is in meltdown and world’s largest nuclear superpower has become a rogue state. Unless a viable socialist alternative steps forward quickly, the extreme right will take its place. History has moved forward, and Hattersley and his kind have been left far behind, which is why their words sound meaningless and hollow. “The planetary environment is in critical decay, the global capitalist economy is in meltdown and world’s largest nuclear superpower has become a rogue state…” steady on Mc it’s not all doom and gloom. Here’s a funny take on Hatters, if the 2017 PC enforces allow, courtesy of the satirical folks at Spitting image, even Roy ‘ll be chuckling! I’m sure RH is not an avid Trump supporter and enjoys a good sing song this time of the year so here’s a pertinent rebuke to T’s latest ME gaff – enjoy. Life outside the EU keeps looking better and better for workers and consumers. There is not much momentum on this site these days. I think Jon has realised the error of his ways with Left Futures. Not only is it an unmoderated open goal opportunity for all the nasty Momentum cranks to express their ‘we’re coming to get you stories’. But its also a platform for reasonable people to ask reasonable questions which of course elicits even more rabid fantasies from the usual suspects (you know who you are). Im sure it sounded like a good idea at the time Jon.